Gertjan Hoefman is Chief Sales Officer at etventure and joined the team in 2016. 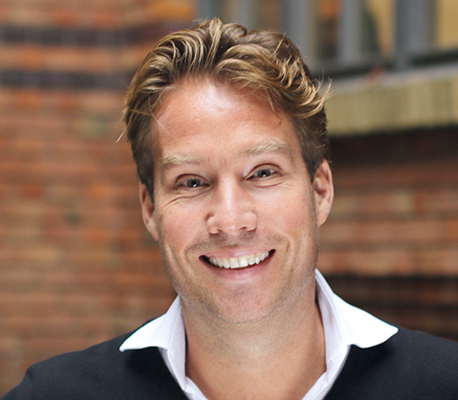 Gertjan Hoefman is responsible for building and developing etventure Sales. He oversees etventure’s distribution services and also supports the growth of startups from etventure’s portfolio. Acting as managing director of Vattenfall Real Estate Energy Sales GmbH, Gertjan Hoefman was responsible for defining and executing the new B2B strategy for the German market. In his role as managing director, he was in charge of reorganizing the German B2B business. The best decisions are where the greatest excitement is.